Heidi King: "We believe the budget does reflect the resources needed to succeed." WASHINGTON -- Members of a House panel wondered Wednesday whether NHTSA is stretched too thin to fulfill a growing list of responsibilities for ensuring motor vehicle safety and reducing traffic-related deaths. Democrats said the situation is unlikely to improve because the White House has not nominated a permanent administrator to lead the regulatory agency and is proposing to reduce its budget. The Trump administration has requested $899 million for NHTSA in fiscal year 2018, down from the $905 million appropriated by Congress in 2017. "It is troubling that NHTSA does not have the resources, people or expertise it needs to fulfill its mandate" and the absence of an administrator shows the Trump administration does not see auto safety as a priority, U.S. Rep. Frank Pallone, D-N.J., said during an Energy and Commerce subcommittee hearing. 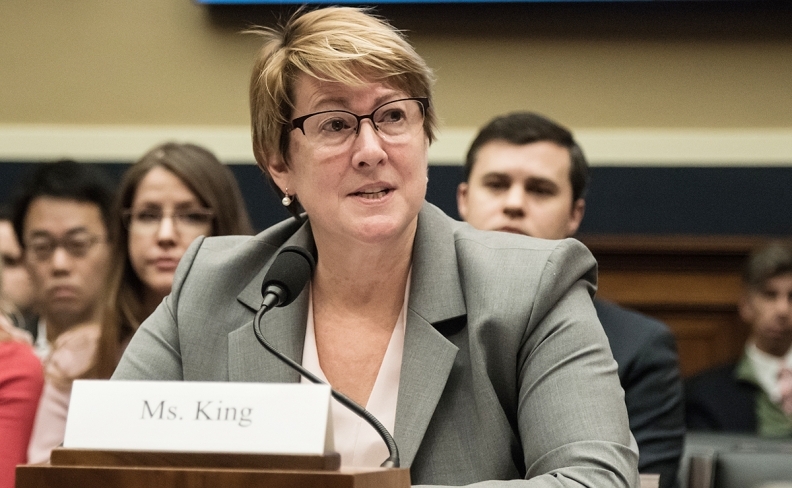 "We believe the budget does reflect the resources needed to succeed," Heidi King said in her first congressional testimony since becoming deputy administrator in late September, adding that she is capable of running the agency. Several lawmakers said NHTSA is not in position to implement rules governing development of automated vehicles because of the lack of technical experts and that it already has problems regulating safety of conventional vehicles. Members said recall completion rates for Takata airbags are too low and that the agency has fallen behind on issuing several rule-makings mandated by Congress, including ones for rear seat belt reminders and protecting children in car seats during side impact crashes. It is also behind on promises to update the New Car Assessment Program, which helps consumers assess vehicle technologies when making purchasing decisions, and on vehicle-to-vehicle communication standards so cars and trucks can move in a connected fashion. In each case, King said NHTSA is reviewing technical comments and insisted that the priority was making rules that are effective. "It's difficult to put a timeline on getting it right," she said. King was noncommittal about a new proposal for fuel economy standards that is to be released by March 30. The Obama-era standards for tailpipe emissions are being reassessed by the Trump administration at the request of automakers. Democrats expressed concern that the corporate average fuel economy standards could be watered down from the target of more than 50 mpg by 2025.